In February, Google started allowing you to add a “single descriptor” to your Google Places page – that is, a word or short phrase that isn’t part of your business name. It’s a huge departure from Google’s old policy, which was that you must use your legal or “offline” business name. There couldn’t be any embellishment. This rule-change is 30% opportunity and 70% problem. To dig into the implications, read this post by Mike Blumenthal, this thread on Linda Buquet’s forum, and watch minutes 44-49 of this MaxImpact (then watch the whole thing). I’d like to focus on how I’d suggest using a “descriptor,” if you’re considering it. Do NOT take any of this for gospel. My pointers are based entirely on what I’ve observed with a handful of clients who’ve used descriptors over the past couple of months. I’m also not saying you should or should not use a descriptor for your business. That’s for you to decide. This is Google’s house. Google’s rules. The rules can (and probably will) change. 1. Strongly consider adding a descriptor if there is a practical, non-SEO-related reason to do it. For example, it’s probably worth trying if you have multiple locations you’d like to differentiate, or if the name of your Google Places is “Dr. John Doe,” or it simply gives no indication of what you do. I guess don’t rule it out if rankings are your sole reason for adding a descriptor; just be more cautious (and paranoid). 2. The fewer words, the better. It’s true that Google is unclear about how many words constitute a “descriptor.” But don’t assume it’s a free-for-all – or that you’d even benefit from stuffing in multiple words. 3. Don’t change all your citations to match your tweaked Google Places name. Google should be able to recognize that they all refer to the same business. Also, if (when?) Google does another 180, you’ll want to avoid having to change all your citations again. 4. Don’t keep messing with the descriptor. No, it’s not set in stone. But any change in rankings will probably take a couple of weeks to happen. Also, for all we know, Google might penalize you for trying on 10 descriptors like they’re pairs of shoes. 5. Put the descriptor at the end of your name. Don’t perform surgery on your whole name by reshuffling the words. That’s more likely to mess up your citation-consistency. 6. Using your city name as the descriptor probably doesn’t make sense unless you’re multi-location. Also, if you’ve done the proper work on your citations and you have your NAP on every page, Google almost certainly knows where you’re located. 7. It should be a “keyword” or a city name, but not both. That’s more likely to look spammy to Google. 8. 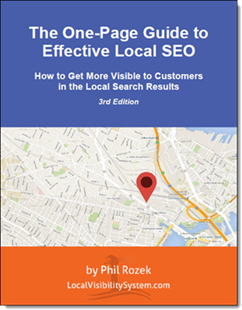 Do all the local SEO work you were going to do anyway – even if your rankings get a bump from the descriptor. Otherwise your rankings are like Bill Murray’s character in Stripes before he joins the Army. 9. 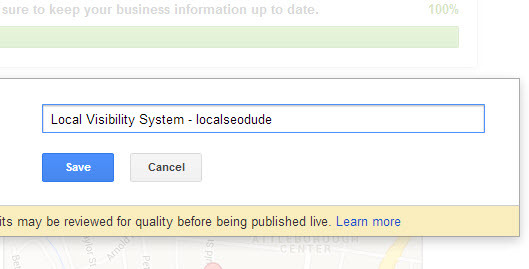 First make sure your Google Places listing is live – findable when you search for it by name. That gives you a baseline of where you are without the descriptor. If your listing isn’t even publicly visible, you have no way of knowing what effect the descriptor might have. And if you suspect a penalty, you also wouldn’t know what’s causing your listing to be penalized. 10. If you have multiple locations, it’s probably not wise to use a “descriptor” for all of them at once. See what happens when you try it for one or a couple of locations. Dip your toes in the water. 11. If you’re an SEO and you want to try the descriptor, ask your clients first! Tell them the risks – even if they’re the ones who suggested it in the first place. What’s been your experience with the “descriptor” so far? What are your questions? Concerns? Thanks for writing this Phil! There is so much confusion and there are so many questions about the new descriptors. It’s great to finally have a canonical source of practical advice on the topic. Thanks for the great article! I am working on the local ranking of one of my client and it’s top competitor has a over pimped Google My Business Title. He included it’s main service plus his top 5 cities and he ranks first for all of those cities! Nice post Phil. I have had the same experience as you have had while testing it the last couple of months. I have found that cities used as descriptor have very little impact, thought it can give you a bump here and there. The main gain comes from using keywords that define the entity. They are especially valuable, if there is no category that truly defines your business to select from. I am interested to hear from others, as well. Thanks, David. That’s what I’ve found, too. I can see this being most useful for those businesses that don’t match up well to even one category in the listing. Since we can’t add one custom category, a descriptor could be just what is needed. I have some testing to do myself. Assuming you aren’t spamming, could the descriptor hurt your listing ? Let’s say you’re a pizza restaurant that also delivers. You rank for both “pizza restaurant” and “pizza delivery,” but you to decide to add the descriptor “delivery” for whatever reason. Could adding that descriptor cause you to drop for “pizza restaurant?” Does Google now interpret this as “you solely do delivery,” or, at least, delivery is your primary focus? Good question, Ruben. I probably wouldn’t add “delivery” to “ABC Pizza Restaurant.” I haven’t seen any drops for the handful of clients who wanted to use the descriptor, but that only says so much. And in terms of seeing someone get whacked for misusing a descriptor, it’s a question of when, not if. Useful post Phil and thanks for the candid about the results you’ve seen for your clients. I think the advice to be wary & step cautiously is great and applies to pretty much every aspect of working with G+. It’s like walking in a minefield – take you time, inch your way through and be prepared to stop and turn back if the results don’t look good. You wise old sage. 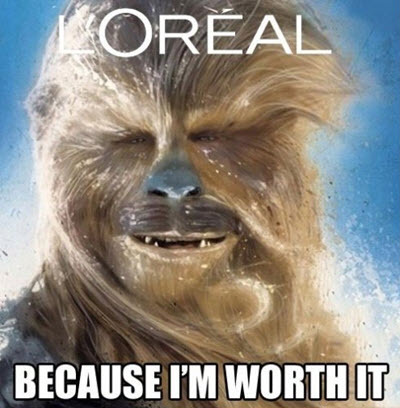 I think you need a beard. Thanks, Myles. The minefield is a good analogy. We’ve used descriptors in Facebook page titles which seem to be picked up and loved by Google. I don’t know if that’s an indication of how they’ll treat their own pages but if it is it might be worth a shot. Haven’t noticed any marked change (good or bad) with added descriptors – w/ location kws mostly, some categorical. Started testing a handful immediately following the announcement. What I have noticed on some profiles (both descriptor testers & not) is a significant drop in reported views since 4/15, only on some profiles. Can’t seem to ID any reasons for it. You always have the best post images/movie refs. The drop in “Insights” since 4/15 is the result of a bug. I’d err on the side of service-related keywords, if you use a descriptor. They’re more…well, descriptive. Has anyone experienced success with adding a descriptor that was similar to the business name? Such as Awesome Dental- Dentist? Nope. But good question, Jeffrey. I’d be curious to hear what others have found. I think Google’s TOS explicitly warn against the hyperbole – but I have tried with a dba name. ex: Anytown Smiles: Dr. John A. Doe, D.D.S. Thank you for the detailed, yet easy to understand explanation of this update. I completed my first seo training a few months ago and still can’t believe how fast things change! To add to #3, you can make a front end update and “Add more names” to your G+ listing. Instead of changing all of your citations to match your G+ listing, you can add the business name of what you’ve already been using for citations to your G+ listing 🙂 something to think about at least! Google seems to reshuffle the Places rankings every few weeks. If your descriptor causes Google to see you as more relevant to a given search term, you might see a change in rankings within a few days. Likewise if your listing or someone else’s gets penalized (for reasons related or unrelated); that causes a quick line-up change, as you’d expect. Hi Phil – great post – thanks…does all of this still apply with the most recent GMB updates? It sure does apply still. GMB was only a backend change. And there weren’t any changes to Google’s “quality guidelines,” either. Darren Shaw sent me over here…thank GOODNESS! Love the post, I have tested this on one account already and saw a boost within 24 hours! PS Whitespark is great…but Google is doing so many local updates that one day we have a local pack for a certain SERP and then the next day forget about it…smh it’s a reporting nightmare!! Since I work with a lot of new / startup clients, I’ve been trying to instruct brands from the start to have a keyword in their brand name to avoid situations like this. Otherwise there are ways to surround the brand with keyword signals when an identifier is missing, although it takes more work. Larry Page mentioned sometime last year in 2014 that “brands were everything” at Google, which may indicate that brand signals are going to be the most important element in moving into 2015 – so it may not even matter at this point if a keyword identifier is present? Given how Pigeon / Penguin wiped out a ton of backlink spammers, it seems to be moving that direction. Thoughts? What’s in the “name” field still matters. But good links matter even more (they’re how Google determines what’s a “brand,” which in turn is just a proxy for determining what companies are popular offline). How to properly use Google Places descriptors.